There probably are more options or subdivisions, but I will leave it at these options. Since I was a younger man I have always had a double walled tent. 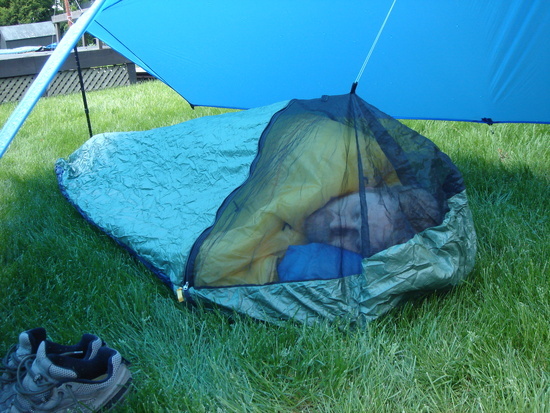 My first tent I remember was double walled, but I cannot recall the brand or version name. 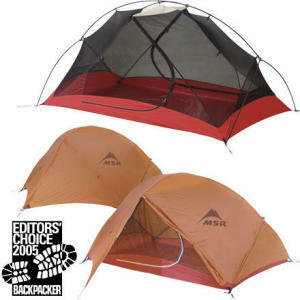 Today though I currently have a double walled tent from MSR called a Hubba Hubba. This tent has been unstoppable for Annette and me. We used this through Europe camping on and off for months at a time. Then we got home and ran a whole season of mountain bike races in it. Then the tent was put away while I travelled for work. When we started back up camping, we noticed that the seam tape was peeling off the seams of the vestibule. So we contact MSR, at the suggestion of my buddy Aaron (smart guy). Low and behold, MSR replaced the vestibule after 2 years of ownership and thorough usage, for free. Regardless of the bulletproof background, we have just scrubbed this tent for a single walled tent that I will explain next. This tent is about 5 lbs in total, and that is pretty nice for the advanced double walled tent category. This tent is strong and stable and freestanding. These are big points for the Hubba Hubba, but weight and setup in the rain are 2 drawbacks that I have pondered time after time. I consulted my buddy Aaron and he suggested the tent that he is currently using as his goto tent. The Six Moon Designs Lunar Duo. I first ordered the TarpTent Double Rainbow, but wanted to compare the Double Rainbow and the Lunar Duo, so I ordered it also. Comparing them side by side there are some specifics that are good for both. The Double Rainbow stands up to wind very well, and can be freestanding. Those are not big points for the Lunar Duo. It is not freestanding and more susceptible to wind. However, it can be staked out well, and do pretty darn good in most situations. But the Lunar Duo far exceeds the Double Rainbow in interior roominess and vestibule coverage. While the Double Rainbow is held up by the included pole, the Lunar Duo is held up by hiking poles. Let's look at a couple photos. This is exactly what they look like, but this is not my photo. We got the Lunar Duo on the left in Green and we are planning on returning the Double Rainbow. It is a terrific quality tent, but did not meet our needs for the Appalachian Trail. The next 2 categories I like to lump together. 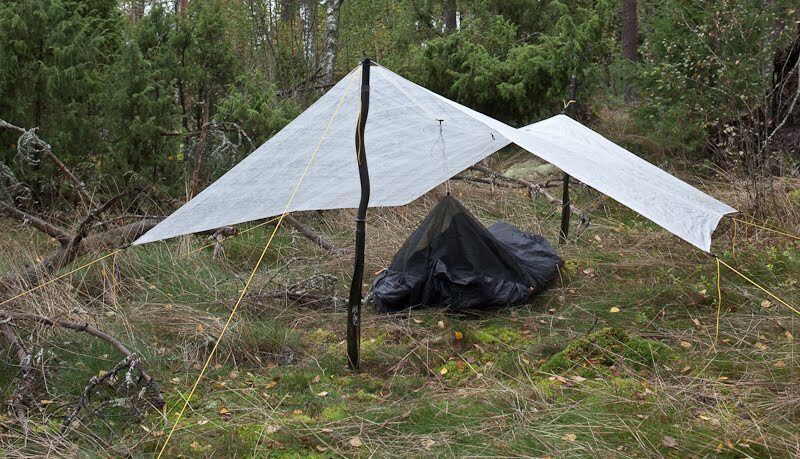 Tarps and Bivys. They are like peas and carrots. I will just show a quick picture and move on since I am not evolved to this point of simplicity yet. This setup is super small, uber light, and super easy to pack up and put away quickly. I hope for any PCT or CDT hikes that I move to this type of setup. Tarps are simple and usually rely on hiking poles. Bivy sacks are just waterproof bags that you slip into to keep wetness/condensation/precipitation off of your sleeping bag. That moisture would make your sleeping bag incapable of keeping you warm. Some have bug netting and help eliminate pest issues like snakes, scorpions, and anything else that wants to visit you at night. Hammocks are the last thing on the list. I don't use them, I have never used them, and I don't have any plans at this time to use them. It usually relys on you having trees to clip to so you can hang the hammock. Which can be a drawback if you were in the desert. However, it keeps you off the cold ground which can be a benefit. Basically, I don't use one, but there are pluses and minuses that I won't explore here. But I will give you a picture. Stay tuned for my review of the tent we chose for our hike. The Six Moon Designs Lunar Duo.